What's on your Worktop Wednesday? Or even Tuesday afternoon. Well the answer to that is very little, a self heal mat, a glass mat, a guillotine and a box of homeless oddments. Pretty boring, eh? However as we are going away on Friday and I have finished the list of cards to make, I thought a thorough clear up was in order, I even vacuumed the floor. Regular readers will remember that last week I was bemoaning that the mojo had gone awol, (and thank you all for your synpathy and encouragement) well I think it was just being difficult because I was under pressure to make a dinosaur card for my great niece. Finally by Sunday inspiration had arrived and after several false starts and a lot of wasted paper, the mark 4 is finally finished. I'm not completely happy with it but I've cleared the worktop so it will have to do. I have a set of dinosaur stamps for her for her birthday so I expect her to produce lots of brilliant dinosaur art work. The other card that had to be made was for my daughter. Regular readers of my drivell will remember that she is being ordained at the end of the month, Sunday in fact, in Ely cathedral, so a card for her was essential, so much easier to create that the dinosaur one. Well if you are wondering why I'm pouring out all this to strangers, go and visit the leader of our internet community, the wonderful Julia, where we are all friends and you too can be part of the Wednesday desk expose. I'm not sure how much visiting I will achieve this week, lots to do getting ready to go away, but I will make an effort and I apologise in advance if you visit me and I don't get back to you until my return. Thanks for a fabulous meal last Saturday - sorry we couldn't stay to play - John was pretty shattered - know why now, of course, but he's on meds, so hopefully will soon start to feel more like again! Have a great time away, trust all goes well on Sunday. 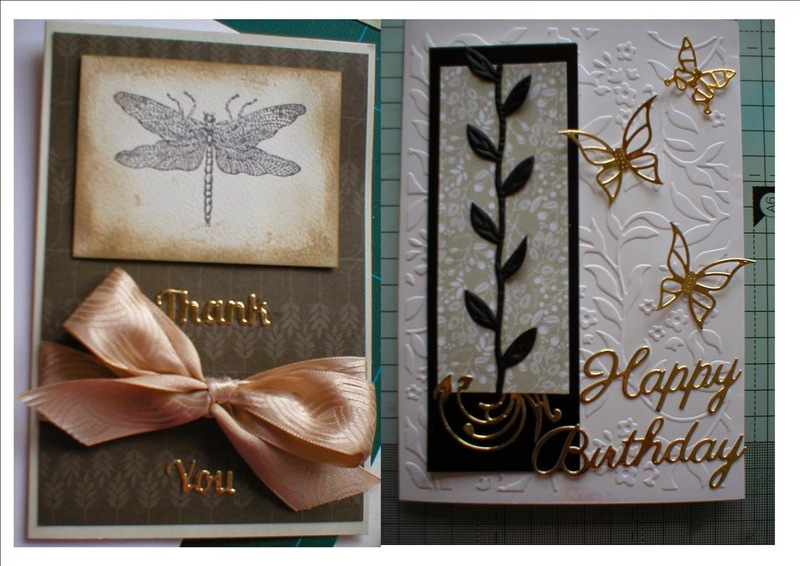 Such lovely cards you have created! You have inspired me to use these edge dies on my card again! That Ordination card is so beautiful and very special indeed - what a day that will be for your daughter and you too! You must be so proud :-) I hope it goes well for all concerned and hope that the beautiful sash you made is well received, Please could you possibly take a pic of it on the day, I'd love to see it 'in action'! Hi Chris. Glad to see your mojo has returned and you got your dinosaur card made. I'm sure the receiver will love it. Hope you have a lovely trip and return to your wonderfully clean space, raring to create! That happens to me - I can create anything excpet the card I'm meant to be doing if it's even vaguely out of my comfort zone..and a dinosaur would certainly qualify..you did a great job! Hope Sunday is a wonderful day for you all, and amidst the formality of the occasion, your daughter will have time to really cherish the moments. Thankyou for your support and kindness too, I'm mending. I'm learning more patience! I'm glad Mr Mojo returned. You do a fab job with the dinosaur card, I love it and a;; the others are gorgeous too. You must be very proud of your daughter, what a special day and properly celebrated with a stunning card. The cards are all gorgeous. Love the dinasaur especially. I forgive you for having such a clean space, it happens to us all sometimes though not very often at mine Lol! I'm doing a quick dash round to say hello this morning before I start another busy day [and I've got to fit a hair cut in today too!]. Thanks for calling by on me yesterday. 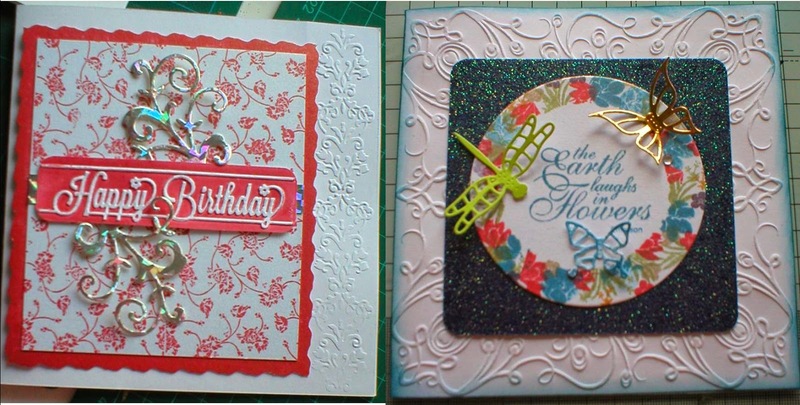 Well, you made some delightful cards along the way to your dinosaur one so you are well in hand on the cardmaking front now. We travelled down to the Harvest Festival Services at Ely Cathedral the year before last, what a beautiful place for the ordination. Am afraid you will have a fair travel up north to see the embroidery on my blog but it will be on show at FatFace in Skipton High Street throughout July and will then go to Yarndale 27-28 September. You really have achieved a lot this week, lovely cards and that dinosaur one is perfect. Really like the ordination one too. 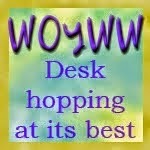 Have a good break away, that desk is going to miss you. Lovely collection of cards and I am impressed at how clean your work desk is before you leave. I'd struggle with a dinosaur themed card too! You did a great job!